Saint-Martin-de-Ré is a coastal village on the Ile-de-Ré, about half way along the northern coast of this popular island. 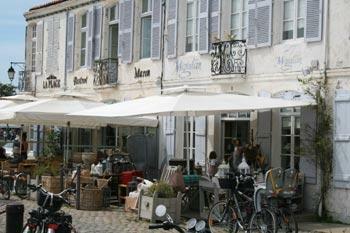 Of the main towns and villages on Ile-de-Ré, Saint-Martin-de-Ré was much the most lively when we visited. 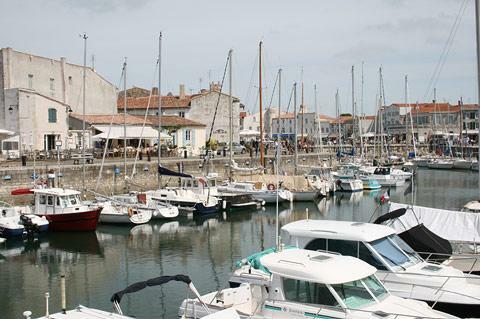 A harbour town, Saint Martin de Ré is an attractive and popular holiday destination with a bustling atmosphere, especially in the region around the harbour, which has many restaurants and shops (and an ice cream shop with the biggest range of flavours you've ever seen). 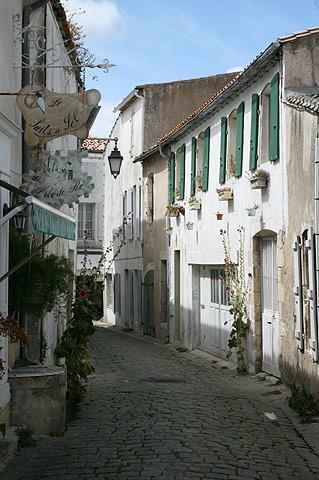 Many of the houses around the port in Saint Martin de Ré have that old, faded beauty that makes a place especially attractive: many of the buildings date from the 17th-18th centuries and appear to have little changed over the last three centuries. Further narrow streets climb the hill behind, leading to the old church which has a belltower you can climb for some great views over the town and out to sea - this is also the best way to see the overall design of the fortifications that surround the town. Saint-Martin-de-Ré is well known as a fortified town, and has extensive fortifications and a citadel added by Vauban in the latter part of the 17th century. You will see these fortifications both as you approach the town, and along the seafront when in the town. Twelve of these 'Vauban fortified sites' across France have now been listed together as a UNESCO World Heritage Site. 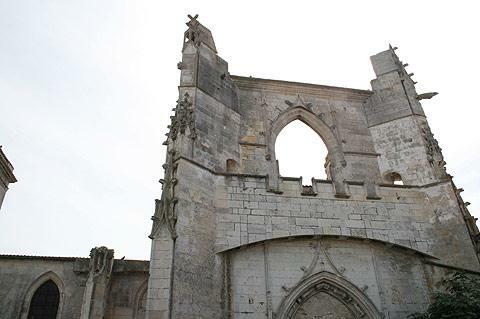 In total there are 12 kilometres of fortifications here - walls up to eight metres high and two metres thick, with impressive gateway entrances and citadel - built to defend the western coast of France from attack by the English. The English never came, and from the 18th century onwards parts of the defences were used as a prison. 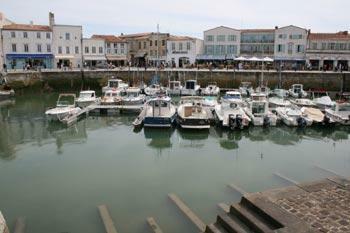 A guided tour of the fortifications can be made: ask for details in the St-Martin-de-Ré tourist office. 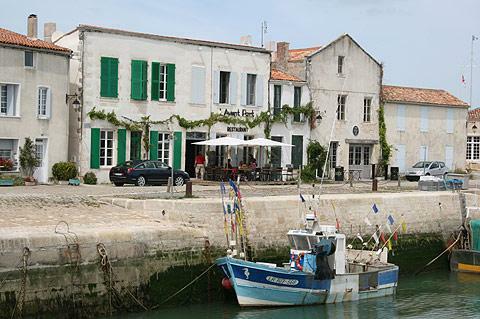 When you are not relaxing on the popular beaches or enjoying the cycle paths of Ile-de-Ré you should also visit the villages of Ars-en-Re to the west and La Flotte-en-Re, a short distance east of Saint Martin de Ré and both listed among the 'most beautiful villages in France'.